Posted by aconsciousappetite in Food, Restaurants, Where's The Beef? On the same outing as my exploration through CITTI market, bf, his mother and I stopped for a quick bite. It’s good thing because after that feast for my eyes, I was ready to inhale a cow! Interestingly enough, USA Today and the WSJ each wrote informative articles about this extremely popular Turkish street food in Germany – Döner Kabob. I won’t go into the details here, but do check them out if you have the time. 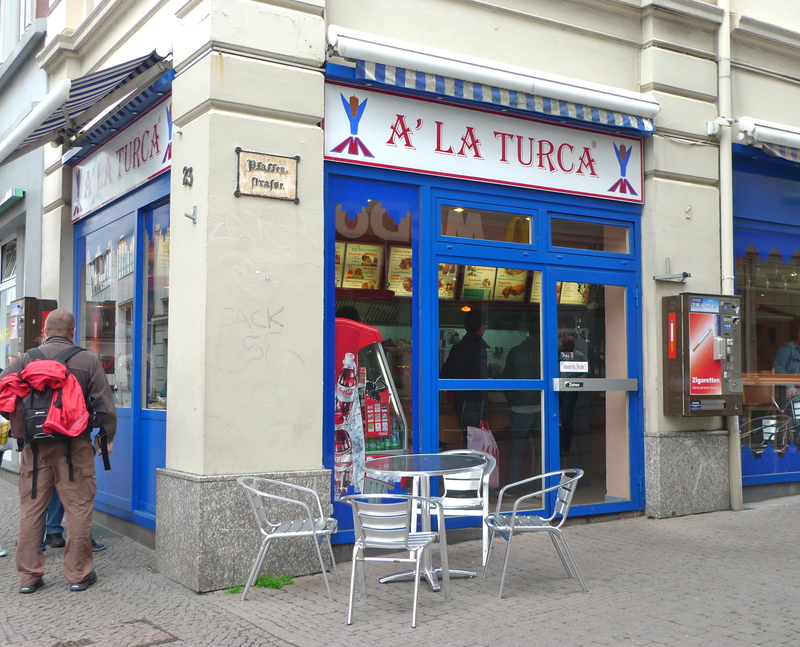 A’ La Turca is located in the pedestrian area in heart of Old Town, Lübeck. I love that they keep it simple since what they do, they do so well. I ended up going with a mini-döner because it was close to dinner time and isn’t it all about pacing oneself? 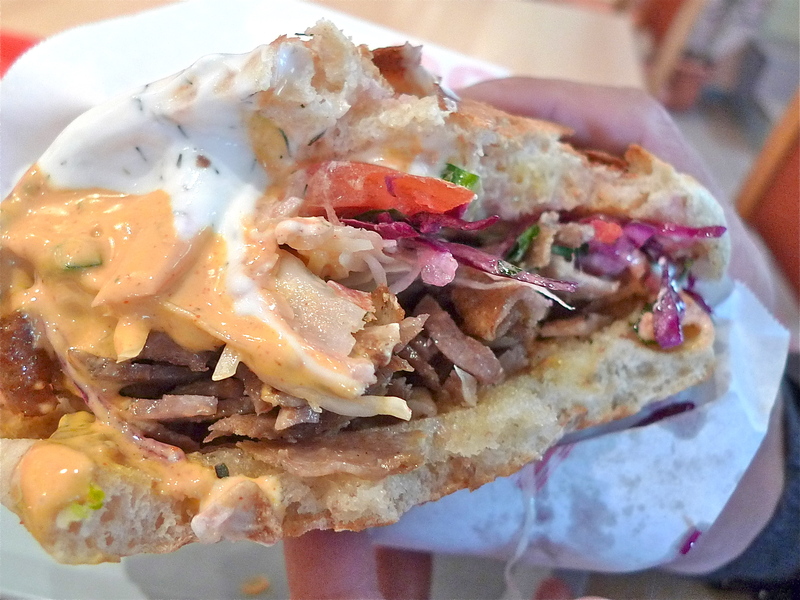 A traditional döner kabob sandwich is made with a thicker pita-type bread baked to perfection. 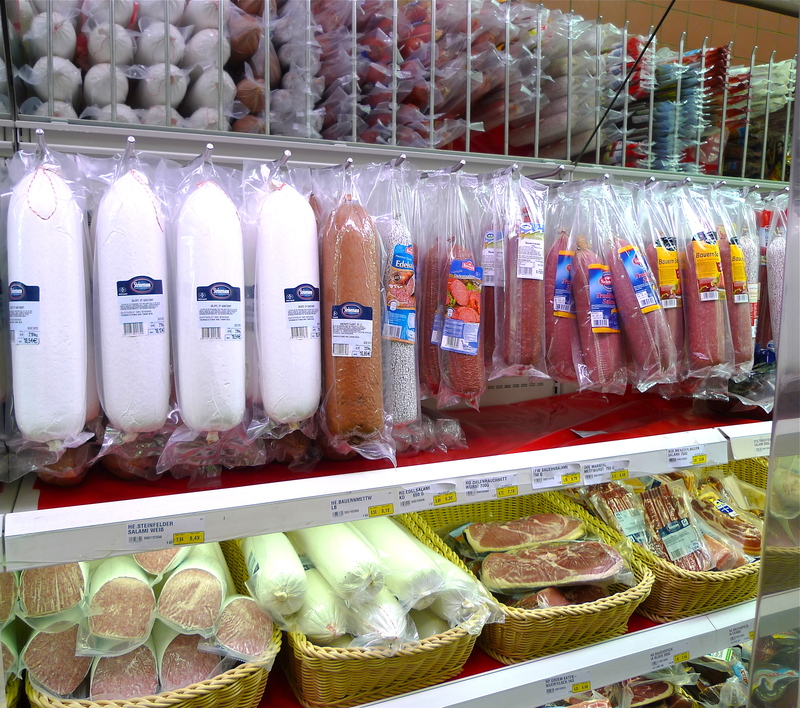 In our case, the meat is veal which is sliced thinly and packed with flavor. Then comes tomato, shredded lettuce, cucumber, and slivers of onion. Everything is super fresh. But, the crowing glory is the tanginess of the red cabbage mix and pickled vegetables. I was, unabashedly, bites into my mini-döner before I remembered to take this photo of bf’s döner (mine was a mangled mess since I attacked it like it was my last meal). Like mine, bf went with the standard yogurt sauce and spicy yogurt sauce. It was a messy yummylicious mouthful of goodness. There is something truly incredible about this combination of flavors and textures. I can not do it justice by attempting to further describe it to you. All I can say is that it really is like a party in my mouth! You better believe that my next döner kabob will NOT be a mini. 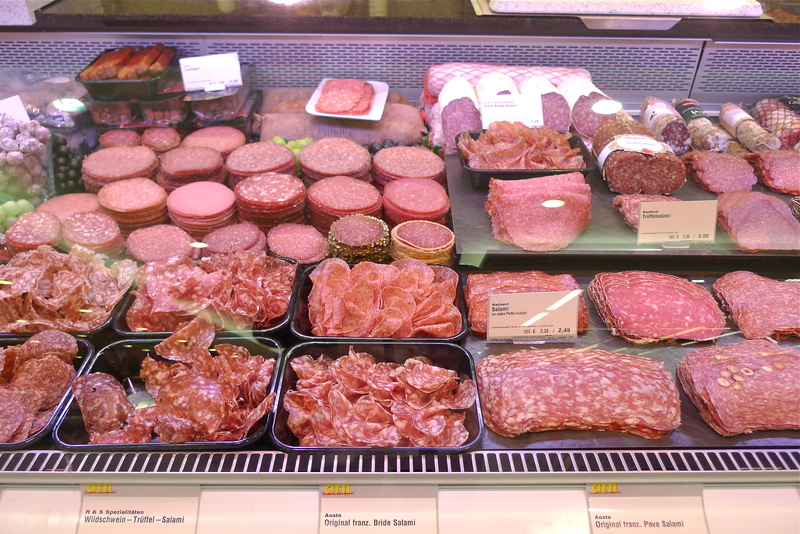 Posted by aconsciousappetite in Food, Laugh A Little, Oink Oink, Travel/Places, Where's The Beef? 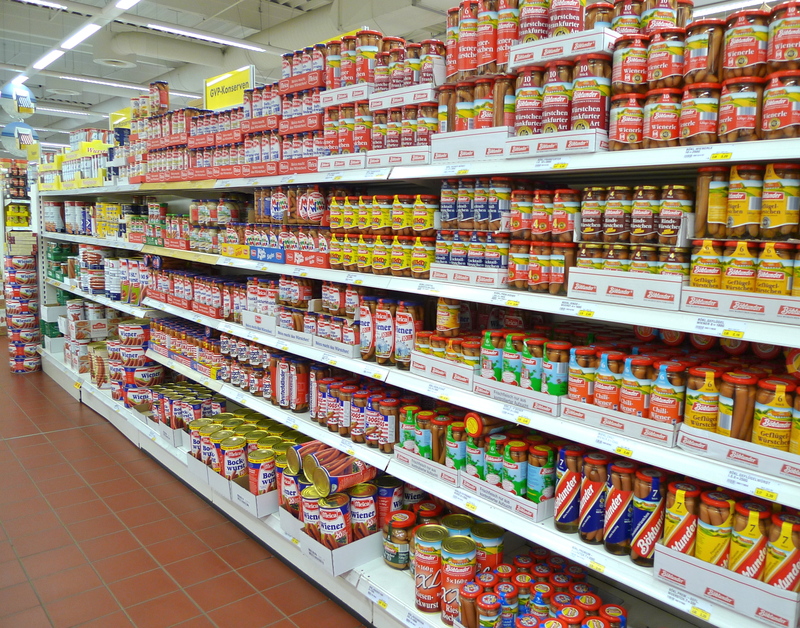 When I travel to foreign countries, supermarkets are high on my list of places to visit. Call me weird, but I think they are interesting and full of wonderful new discoveries! 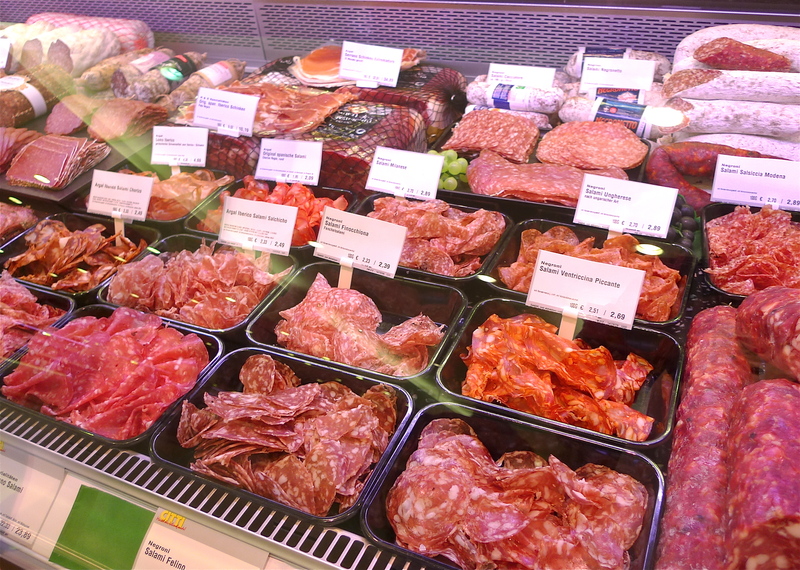 So, while bf and his mother were running errands, I took a stroll through the northern German supermarket chain, CITTI Markt, in the city of Lübeck. 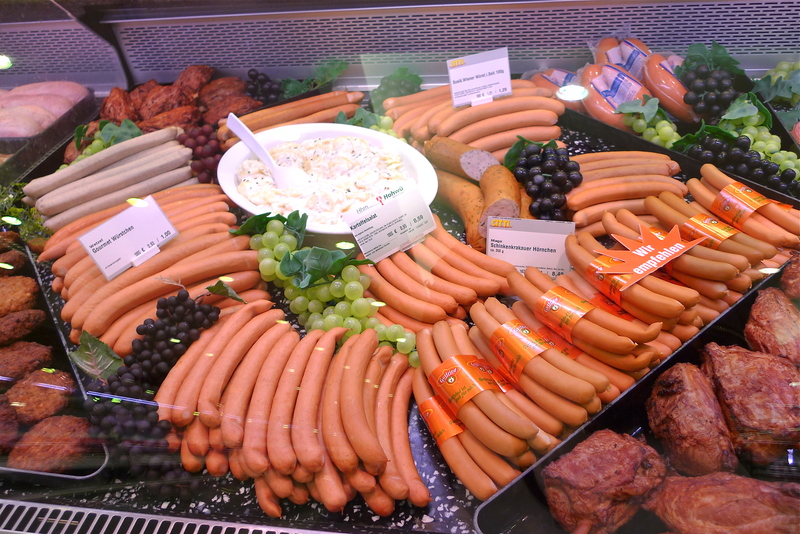 When it comes to food, Germans take several items very seriously. 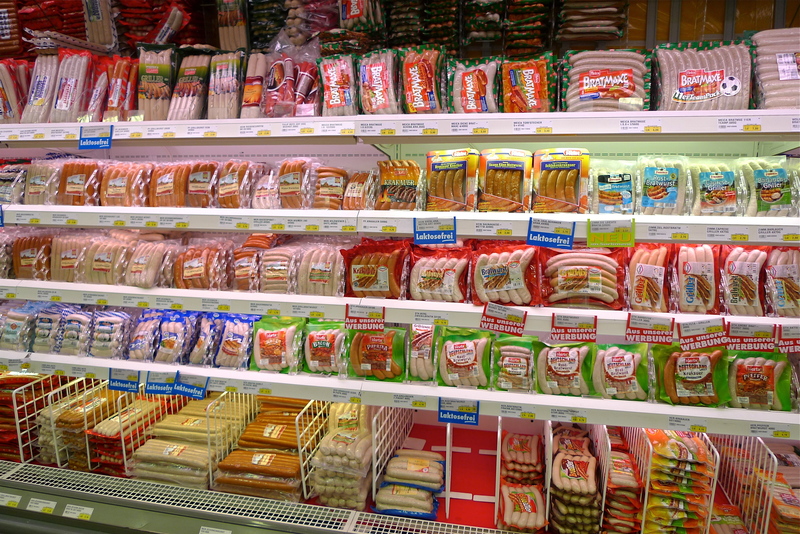 But, I realized on this venture that though sausages are their mainstay, it also translates to deli meats. For example, in San Francisco, I do the bulk of my grocery shopping at Trader Joe’s and Whole Foods. 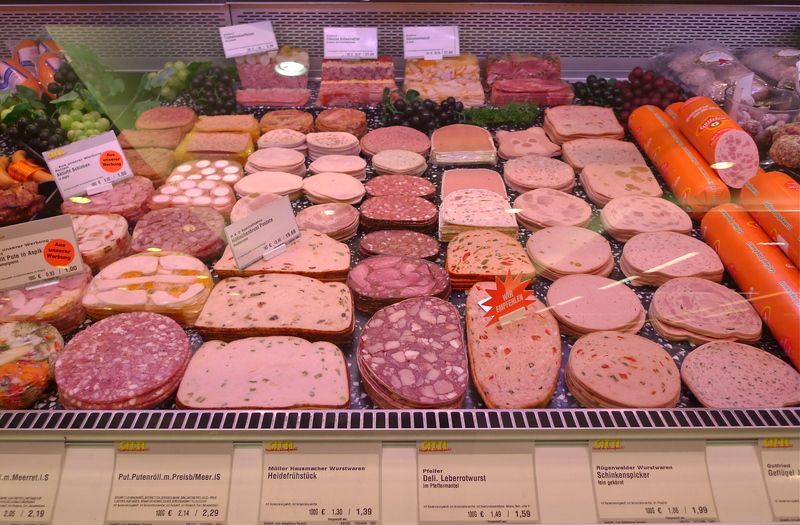 I think combined, they have a decent deli selection. 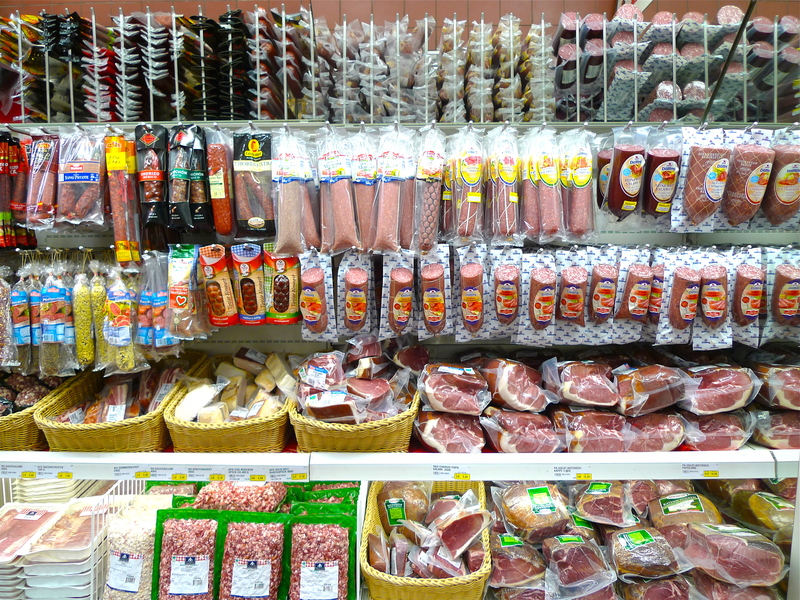 In Marbella, the Spanish definitely take their deli meats more seriously (ham!) 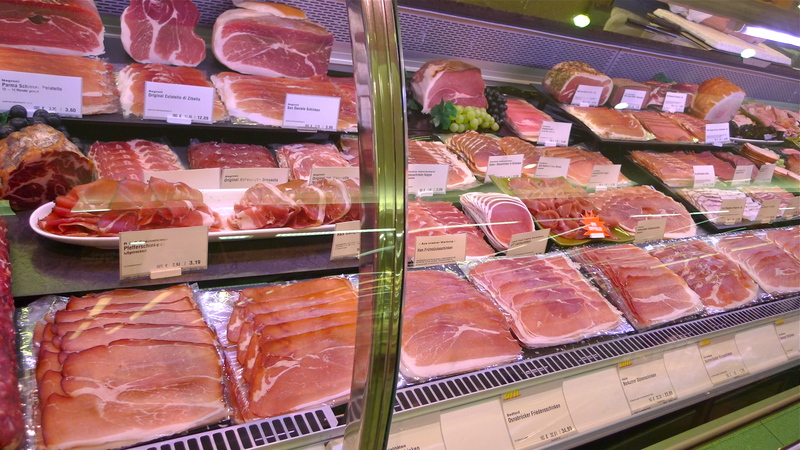 and I think their selection at the butcher is pretty impressive….until now. 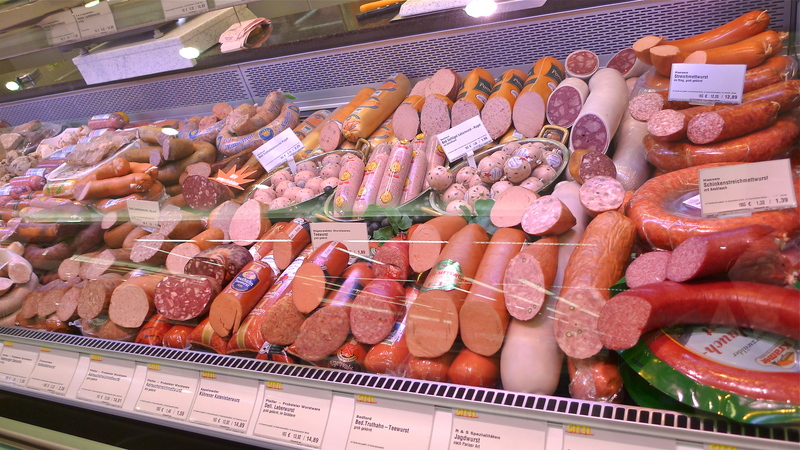 Let’s take a tour of CITTI’s sausage/deli section, shall we? 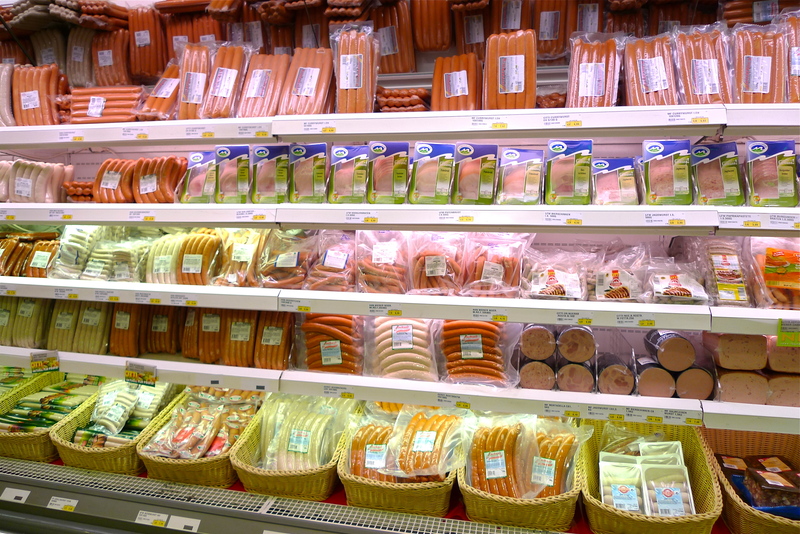 Follow me this way…oh, and…vegetarians, you’ve been warned. By now I was drawing some strange stares at the market. I’m assuming it was because, a: I had a delirious grin and look of unabashed excitement on my face, and b: I had my camera clicking away like a fanatic paparazzi…at sausages. 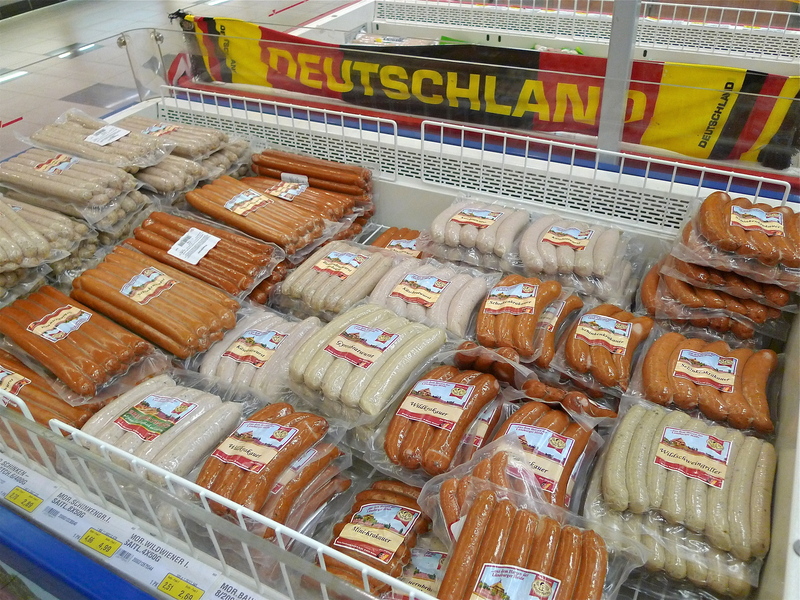 I mean, seriously…are these Germans truly unaware that this is type of selection is…not normal!?!? Honestly, I left out a couple of shots for fear of boring you. Can you believe this? It’s a wonder to me that Germans can even survive outside of their country!